Kalāteh-ye Dar Chāq is a town in the Khorāsān region of Iran. 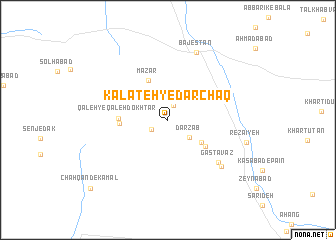 An overview map of the region around Kalāteh-ye Dar Chāq is displayed below. The nearest airport is XBJ - Birjand, located 201.3 km south east of Kalāteh-ye Dar Chāq. 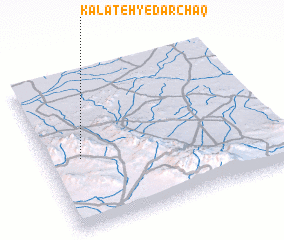 Where is Kalāteh-ye Dar Chāq?